She actually shaved her head for her role as Nebula in Guardians of the Galaxy. The girl is committed to her career! That light bulb? No. Just no. Check her out in Not Another Happy Ending and as Amy Pond in Doctor Who. It makes me sad all over again that the show got cancelled. But great news for the fans: the final unaired episodes are now available for viewing on Hulu. 10. And finally, you know she can act, but did you know she could also direct? She recently wrote and directed the short film, Coward, which stars her friend and star of iZombie, Rose McIver. It went on to win Best Independent Short at The Independent Filmmakers Showcase at the Beverly Hills Film Festival 2015 and she submitted it to the Edinberg Film Festival where she also served as a judge. Have anything to add? Post it in the comments below! 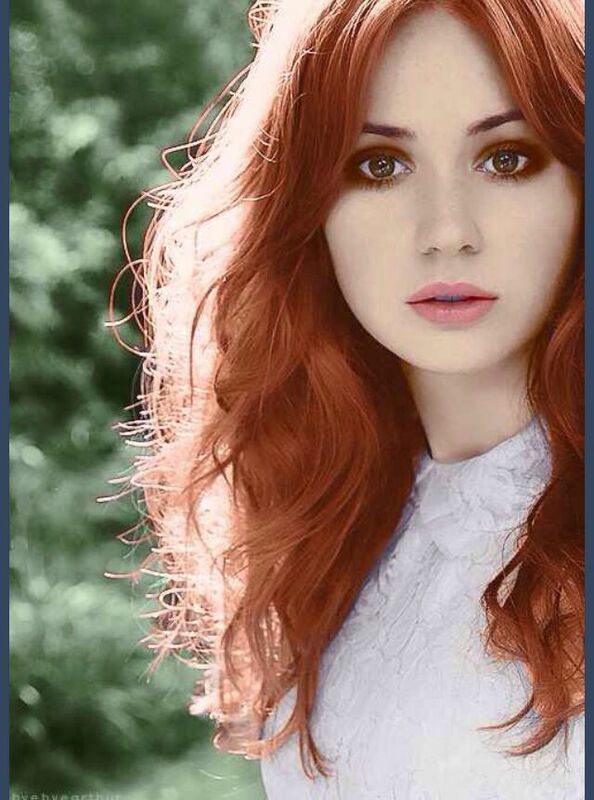 This entry was posted in 10 Reasons, 10 Reasons... WOMAN CRUSHES, Jen P and tagged 10 Reasons, Girl Crushes, Guardians of the Galaxy, Jen P, Karen Gillan, Movies, Nebula, Woman Crushes. Bookmark the permalink.